Nairobi: Kenyan President Uhuru Kenyatta said on Wednesday that Islamists who stormed an upmarket hotel complex, killing 14 people, had been “eliminated” after an almost 20-hour siege in which hundreds of civilians were rescued. At least one suicide bomber blew himself up and gunmen engaged security forces in numerous shoot-outs during the assault on the DusitD2 compound, which includes a 101-room hotel, spa, restaurant and office buildings. The attack was claimed by the Al Qaida-linked Somali group Al Shabab, which has repeatedly targeted Kenya since it sent its army into Somalia in October 2011 to fight the terrorist group. 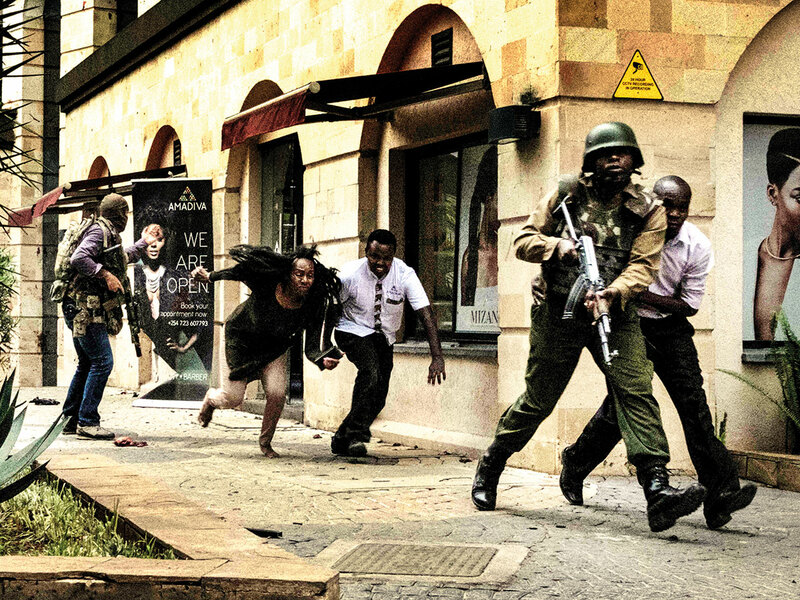 The sight of armed Islamists and terrified civilians fleeing reminded Kenyans of a 2013 Al Shabab attack on the Westgate mall that left 67 dead in a siege that stretched out over four days and led to sharp criticism of the security response. “I can confirm that ... the security operation at Dusit complex is over and all the terrorists eliminated,” Kenyatta said in a televised address to the nation. A police source said two attackers had been shot dead on Wednesday morning after a prolonged shoot-out. “The two have red bandannas tied around their forehead and bullets strapped around their chest with several magazines each,” the senior police officer said. The last major attack in the country took place in 2015, when Al Shabab killed 148 people at the university in Garissa, eastern Kenya. In its statement, Al Shabab noted the attack came exactly three years after its fighters overran a Kenyan military base in Somalia, killing some 200 soldiers. Abu Dhabi: The UAE on Wednesday condemned the terrorist attack on a hotel complex in the Kenyan capital Nairobi. “The UAE denounces this terrorist attack and reiterates its stand of rejection all forms of violence and terrorism that target everyone regardless of religion and ethnicity,” the Ministry of Foreign Affairs and International Cooperation said in a statement. The ministry reiterated that the UAE’s supportive stands and solidarity with the Kenyan government and people in countering violence and extremism, and called on the international community to collaborate in the face of this dangerous scourge that threatens security and safety in all countries.